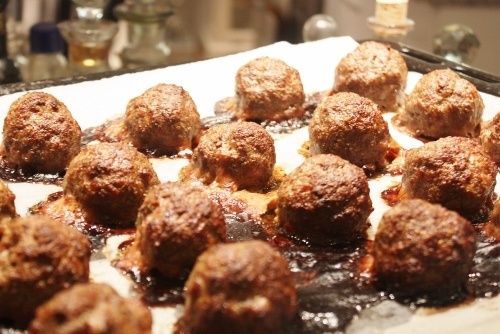 My children bragged about these yummy meatballs after a trip they took to Italy visiting family. 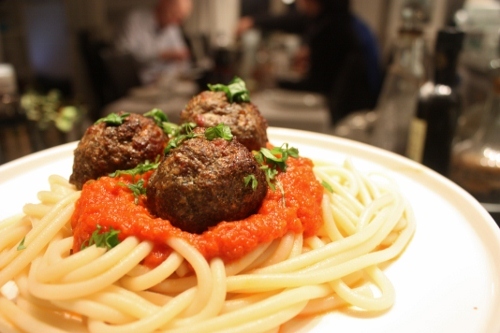 At the time I had not yet tasted these meatballs, so a quick e-mail to Italy I got a recipe and this is my interpretation using what I had in the fridge at the time. 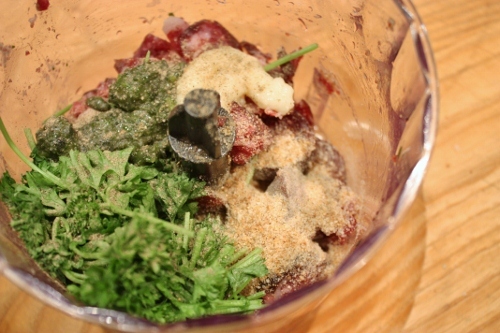 Mix all the ingredients i a blender except the minced beef and pasta. 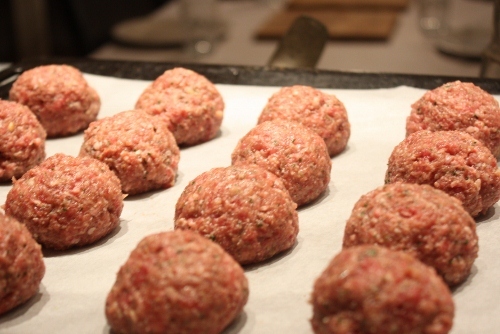 Combine the mashed ingredients with the minced beef and roll into golfball sized meatballs. 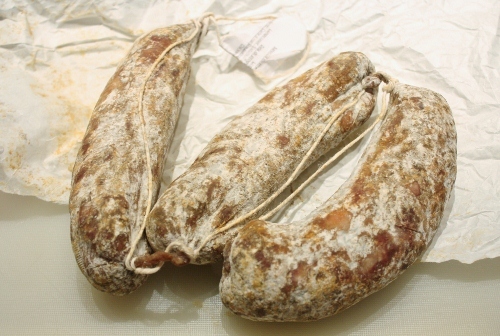 When they are done I start cooking the pasta and make the sauce. Saute the onions and garlic in olive oil until glossy add tomatoes and the rest of the ingredients and mash with an immersion blender, then let the tomato mixture simmer until it is cooked into a thick sauce. I do not add any salt to this sauce since there is a bit of salt in the vegetable bullion and in the meatballs.